Our world is changing. Our technology is changing the way we live and communicate. Modern science opens gateways to new world views. The rate at which we are exposed to new information, new paradigms and new ideas is accelerating every day. Amidst all this overwhelming change, there is an inherent intelligence in the Universe that continuously self-organises. We have the choice to align with this intelligence or continue to operate within old structures – in government, business, education, healthcare and even in our personal lives. We often cling to hierarchical models, which no longer work for us. Those at the top of the ladder are fearful of what might happen if they relinquish control. Those at the bottom, surrender responsibility to those above. Many of us easily get stuck in a pattern of blaming ‘the system’ for everything that goes wrong. But the truth is – we are ALL the system. Whether you are a seasoned CEO or an entry-level employee, YOU have the ability – and the responsibility – to engage with ‘the system’ as a ‘living being’ composed of all those involved. 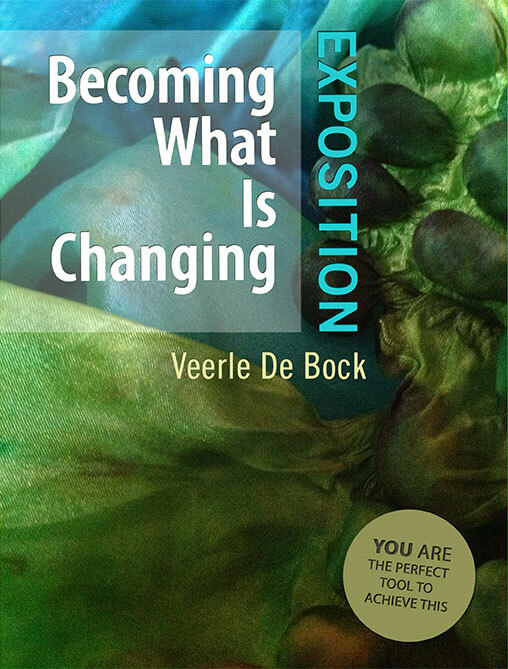 Becoming What is Changing: You Are the Perfect Tool to Achieve (Volume 1: Exposition) describes Universal Principles for Transforming Self, Systems & Organisations. 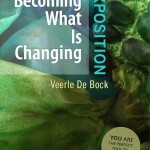 Author Veerle de Bock integrates more than two decades of experience within the healthcare industry, along with years of work as a teacher, supervisor and process facilitator, to bring you a candid and refreshing look at how we can reinvent the way we operate within our organisations, and allow our systems to become ‘living beings’ with a capacity for self-organisation. Your full potential – Fresh perspectives on discovering who you really are, and how to bring your whole self into your organisation. Dynamic facilitation – A new way of meeting and listening that can help your team find solutions to problems you thought were impossible to overcome. Life pulse – Understanding the natural life-cycle of organisations and ideas, so you can identify the right time to reflect and the right time to ACT. Witness/Ask/Experience – A reflective tool to help you and your organisation discover where you are ‘stuck’ so you can move forward. 100% Responsibility – Learning how to take responsibility for what is happening in the moment, including the responsibility for being open and understood. Idealists, Change-Makers and Social Reformers! If we simply continue to complain about ‘the old system’, we are only colluding with it. But when we are ready to let go of blame and judgement – and take full responsibility for whatever happens to us and around us – we can attune with the change that is already happening in the Universe, and we can achieve truly great things in our organisations, our lives and the world at large. Then Becoming What is Changing is THE book for you. I am reading your book … as you may see from the time of this e-mail even late into the night. Congratulations! You wrote an important book. Thank You!!! It contains a fascinating story and a wealth of interesting concepts (tools). Probably not every reader will go deeply into each of the tools. But everybody can choose where he or she wants to make a deeper dive. I am in the midst of reading your beautiful book. Thank you for sending your abundant creation. I LOVE it’s wisdom, the clear language which you are using to express it, and how closely you make contact with the reader. It’s fun – while I am reading it, I can always hear your voice, as if you were reading it to me. And I am very much enjoying this voice and contact. Thank you for bringing this into the world – I am sure your book will inspire many people for the change we all long for. I can facilitate a process to explore, expand, engage, discover. This can be in person or with a group. The format can be a workshop, a session, an open space, a world café. Or I can provide an inspiring lecture.